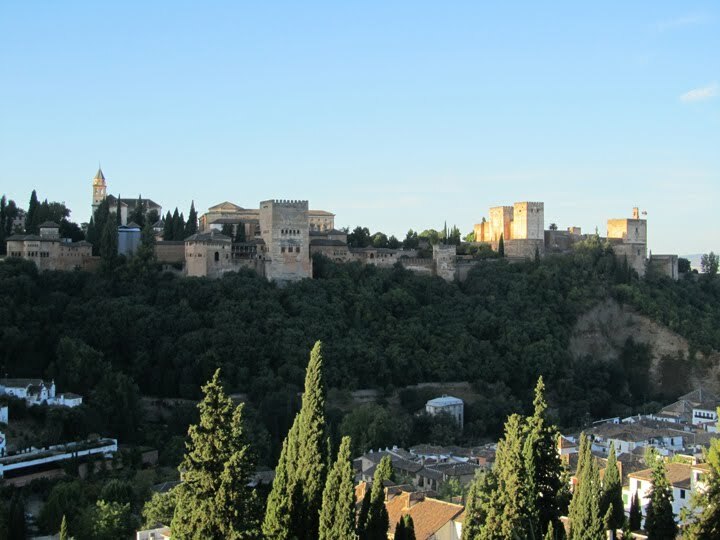 We’ve been in Granada, Spain for three weeks, with two weeks remaining. Having our camera stollen delayed the photo-posting, but it’s been replaced now so I’ll try to catch up. I try to get a bit of painting time in each morning, inspired by the view of the sunrise on the Alhambra from our terrace, and then resort inside to air conditioning in the afternoons.